Where there is compassion, there can be no separateness. All of us believe we love people that are close to us. But there’s a higher quality than love. It is compassion. Compassion has its roots in Latin and simply means ‘co-suffering’ or ‘to suffer together’. But a more relevant meaning is that compassion is about ‘having a deep awareness of another’s suffering and wanting to relieve it.’ Love, on the other hand, is about possessing someone. It has, over time, acquired a conditionality. ‘I will love you if you love me’ or ‘I will love you if you are truthful or this or that…’ The moment a condition specific to the relationship is not met or fulfilled, the love ‘deal’ is off! But compassion is unconditional. Which is why it is beyond love. 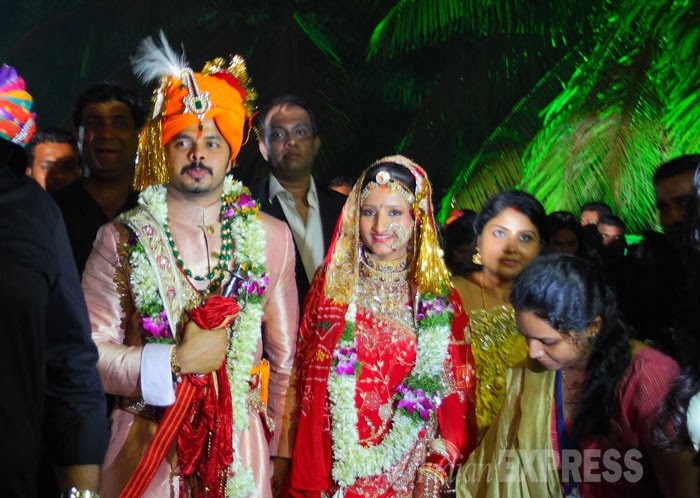 Yesterday, S.Sreesanth, 30, the ‘enfant terrible’ of Indian cricket, married his girlfriend of six years, Bhuwaneshwari Shekawat, 28, a.k.a Nayan, who is from one of the royal families of Rajasthan and is a jewellery designer. Sreesanth has been in the eye of the spot-fixing scandal that broke in the Indian Premier League in May this year. He has since been banned from all forms of the game by the Board of Control for Cricket in India (BCCI). He spent a few weeks in Tihar jail earlier this year and has been booked under the stringent provisions of the Maharashtra Control of Organized Crime Act, 1999 (a law that was enacted to combat crime and terrorism). The whole country, led by the media whipping up a frenzy over the scandal, the social media and almost anyone who voiced an opinion – went against Sreesanth. Most believed he was guilty beyond doubt, several opined that he deserved what he was faced with and many, many others felt his whole Life was over. Perhaps, he too must have thought it was all over. But Nayan did not think so. Nor did she believe what the world was saying. She stood by him as he was taken from one court to another, one investigation to another, one lock-up to another, to finally a longish term at the Tihar jail, before being granted bail. And at a time, when most others would have broken off the relationship, Nayan agreed to go ahead with her marriage to Sreesanth! A friend of mine, on facebook, marvelled at the young lady’s conviction in her beau. I too admire that quality. I am not here to comment on what Sreesanth did or what course the law will take on his case(s). That’s for the legal system to decide. But I want to celebrate the compassion that this young lady has displayed. In a world, where everything is conditional, to standby someone – who has already been tried by the media, pronounced guilty by popular perception and ostracized by society – is really, truly remarkable. You don’t have compassion for another. You arecompassion. The Buddha has described compassion as the feeling, the quality that transcends love. When you love someone you are desirous of that someone, you need that someone to complete you, but when you are compassionate, that same love becomes a sharing. You not only relate better to the other person, you actually feel for that person better – sometimes even better than the way the person feels for herself or himself. Compassion heals – definitely the person who is compassionate, but also the one who receives compassion. It is the highest form of energy – one that dissolves all separateness and makes way for our souls to be in unison, in harmony! It was compassion that made Gandhi and Mother Teresa do what they did. We don’t even have to rise in love to those heights. If we can just stop asking ‘what’s-in-it-for-me’ in each interaction in Life and give others our unconditional support and understanding, without judging them, we would have walked the path of compassion. And for this learning, this morning, with due respect to Simon and Garfunkel (ref. ‘Mrs.Robinson, written by Paul Simon, performed first as a single in 1968; Grammy 1969), ‘Here’s to you, Mrs.Nayan Sreesanth…More power to you…Mrs.Nayan Sreesanth…’!